TAKE away coffee cup waste has long been an issue in Australia with more than 1 billion cups dumped in landfill each year. 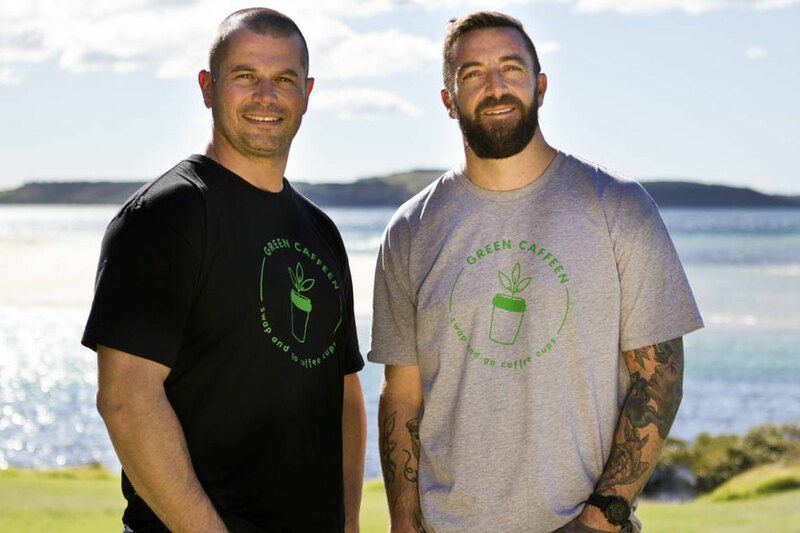 It is why two Australian men decided to start a revolution with a new initiative called Green Caffeen. They hope it will aid people in joining the plastic-free movement, eliminating millions of disposable coffee cups from landfill in the process. Customers are able to visit participating cafes and use a swap and go system, allowing them to drink from a reusable cup that can be returned to the cafe and swapped for a fresh cup on their next visit. They are currently touring the coast visiting as many cafes as possible, hoping everyone will get on board. We thought there has to be a better way." That is when their idea was born and so far many have been happy to join the cause. "Five cafes in the Port Macquarie area have signed up and we hope there are many more to come," Mr Clarke said. "We launched in Kiama and are going up and down the coast at the moment and trying to have as big of an impact as we can. "Everyone drinks coffee and wherever we go, whether it's Port Macquarie or wherever, we want to lead people in the right direction to try and make a difference. "We hope more and more cafes will come on board." Beantree cafe is one establishment in Port Macquarie happy to help the cause. "I think it's a great idea. People want to be good to the environment but often they forget to bring the cup in and you get stuck," owner Michaela Henshaw said. "I hope it is something the community will get on board with because I think it's fantastic." They have already started the scheme, but with a lack of knowledge from locals it is yet to gain much traction.